Cardiovascular disease affects 20% of all Americans and is the leading cause of death in the USA. Every year approximately 1,500.000 Americans suffer from an acute myocardial infarction, and over 25% of the total number of deaths in this country are attributable to coronary artery disease. Unstable angina causes over 650,000 hospital admissions, and in the absence of medical therapy, the rate of progression from unstable angina to infarction is 12-20%. Since plaque disruption, plaque erosion, and acute intracoronary thrombus formation play major roles in the pathophysiology of both unstable angina and acute myocardial infarction, and since the two disease entities represent a continuum of coronary ischemic syndromes, it is appropriate to discuss the two disease states in a single monograph. 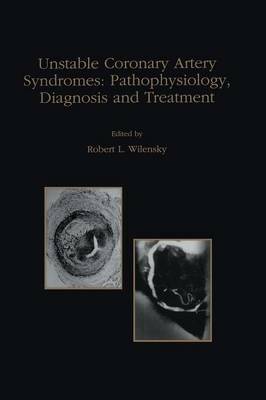 Unstable Coronary Artery Syndromes, Pathophysiology, Diagnosis and Treatment will offer the clinician a reference book which coherently discusses the pathophysiology of acute ischemic syndromes as well as remarks diagnosis and treatment strategies. Geared toward internists and cardiologists, the book should allow the reader to understand the pathophysiology of unstable coronary artery syndromes and subsequently apply this knowledge to patient care.